T&T is Building Meaningful Foundations in Houston. At T&T Construction, we could go on for days about the important role foundations play. And trust us, we have. Foundations provide a solid place to start a project. They give you something to build on, and they support you along the way. In our minds, however, it shouldn’t end with concrete. We believe that, to serve as the good neighbors we strive to be, we have to focus on building foundations in Houston and the surrounding communities by getting involved and giving back. Our team stays involved in many ways — and on multiple levels. For our company as a whole, our memberships with the Deer Park Chamber of Commerce, Pasadena Chamber of Commerce and La Porte-Bayshore Chamber of Commerce keep us clued in to community events and opportunities to support other small businesses. We also love giving back to area youth, such as our recent involvement with Pasadena’s McDonald’s Texas Invitational. In addition, we make it a point to stay active in trade organizations such as the American Society of Concrete Contractors, American Concrete Institute and the American Subcontractors Association. These groups offer a wealth of information and training opportunities, and give us a voice when it comes to legislation and other measures that could affect our company and community. Delving even deeper, at T&T we’re more than a company. We’re a group of individuals each with our own hobbies and passions. We encourage each person to find a cause that means something to them and find a way to give back. Whether that means landing a spot with a PTA group, taking part in community cleanup efforts or something else entirely, we’re all for it. 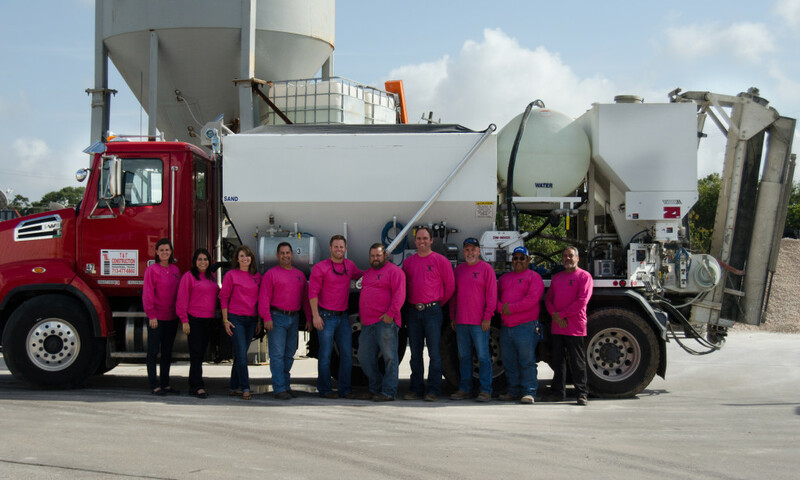 In fact, our crew even donned bright pink shirts one recent October in support of breast cancer awareness. We love the Houston area. Our company has called it home from the beginning. It seems only natural to want to get to know — and help out — the neighbors who make this such a wonderful community.